Creating great content is only one part of a successful blogger’s strategy. Promoting content on social channels brings new viewers as well as repeat viewers. That means growing your social media channels so that you have more eyes seeing the great content. 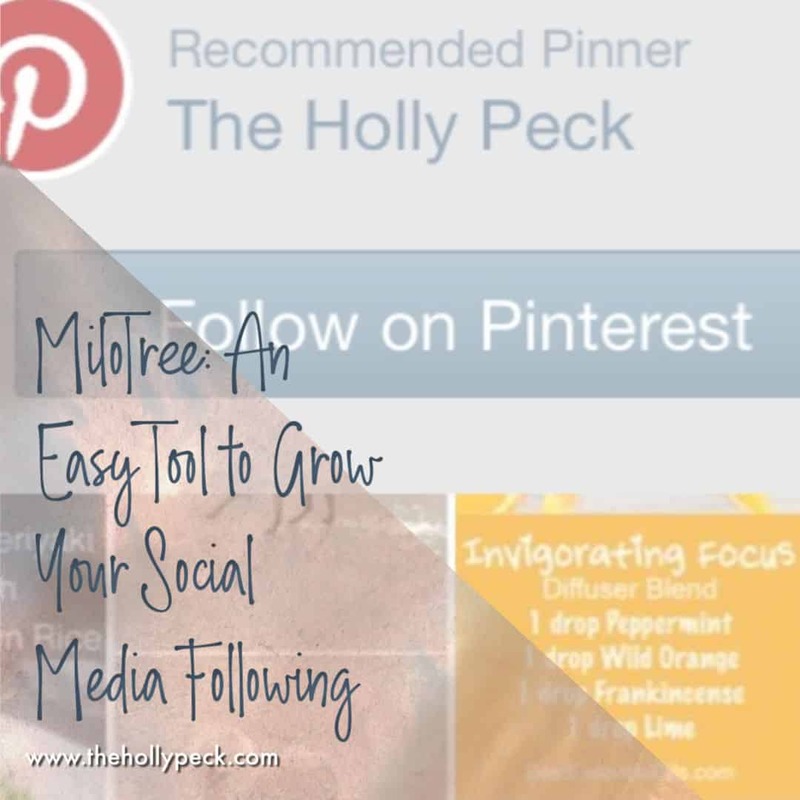 I’d like to introduce you to an easy tool to help you grow your social media following: MiloTree. 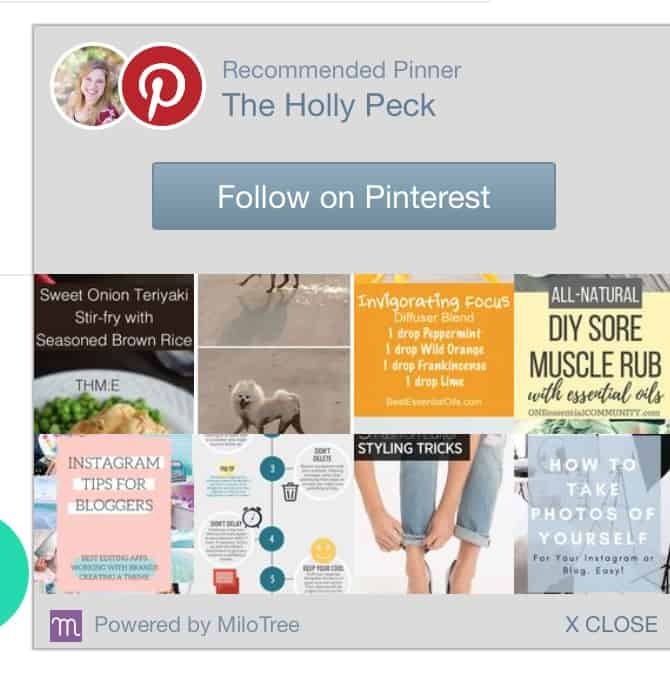 MiloTree is a plugin for your WordPress blog that creates a pop up that appears on a designated page of your website to encourage those reading your blog to find you on another social channel. It contains a link that sends them to follow you there. Additionally, you can designate how often the popup appears on your site – you can have it appear once a day, it can appear on the left or right side of your site, or it can be suppressed on mobile – there are tons of options. Oh, and the best part – you can totally customize it to show your brand colors, so it can be unique to YOU and your branding! Have a social channel that you want to grow? MiloTree is a great tool to point people towards that channel. What is your social media focus? Are you trying to grow your Pinterest, youtube channel, or your Instagram? You can designate that the popup on your website funnel people to that social channel to follow you. Check out my Milotree popup! In face, you may have seen it popup on this page as you started scrolling. Since I installed MiloTree in June 2018 (I’m hitting publish on this post in October 2018), my Pinterest following has grown by 300. Part of that has been consistency in pinning, and part of it has been helping people find how to follow me more easily. 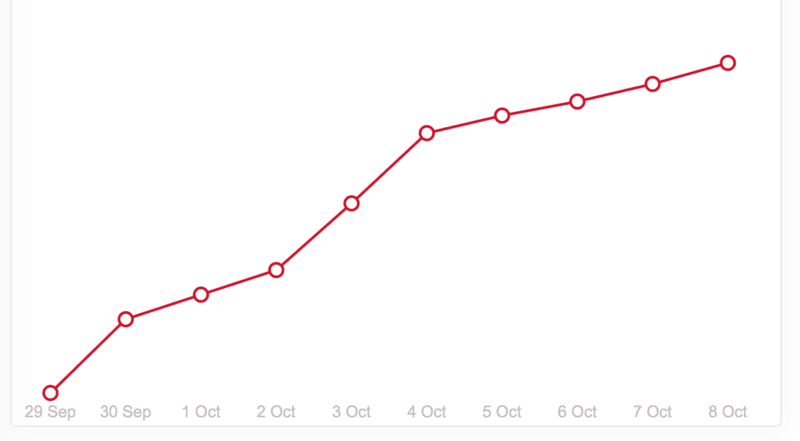 On my analytics page, I can see the upward trajectory, which is so exciting and encouraging as I am growing my reach. How Can I Get MiloTree? You can get a free one-month trial of MiloTree HERE. You can also test a preview of what it will look like on your site. After that one month trial expires, MiloTree costs $9 a month, and can be paid yearly. It is a GREAT investment in growing your social channels. What channel do or will you use Milotree for? Tell me in the comments! While you’re at it, make sure to check out the free blogger’s toolkit, with a list of plugins and resources for you to work your blog and increase your social media following. Was this helpful? Sharing is caring!